Orth House | Historic Jacksonville, Inc. The 2-story Italianate “villa” at the corner of Main and South 4th streets, was erected in 1880 during the final period of Jacksonville’s growth. It was built for German-born John Orth, a local butcher noted for “his remarkable business ability and intelligence.” Orth served as City Councilman for several years and also as County Treasurer. 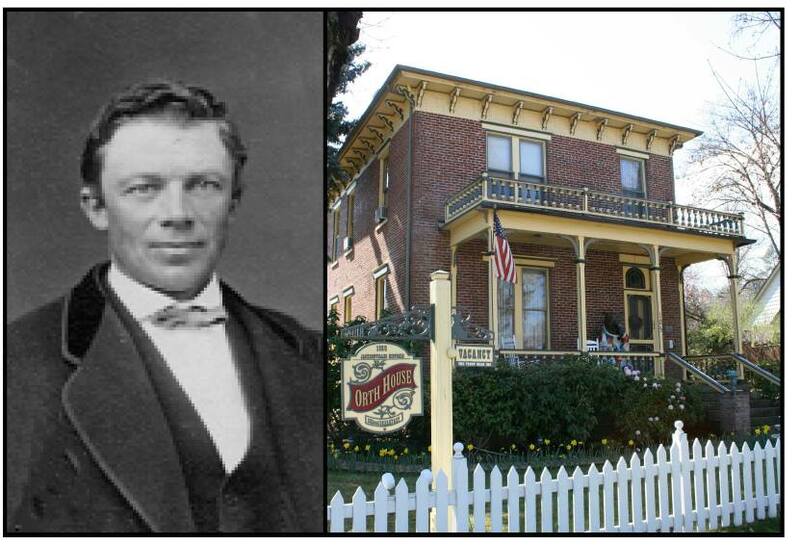 He and his wife, Irish-born Ellen Hill, raised a family of seven in this home.